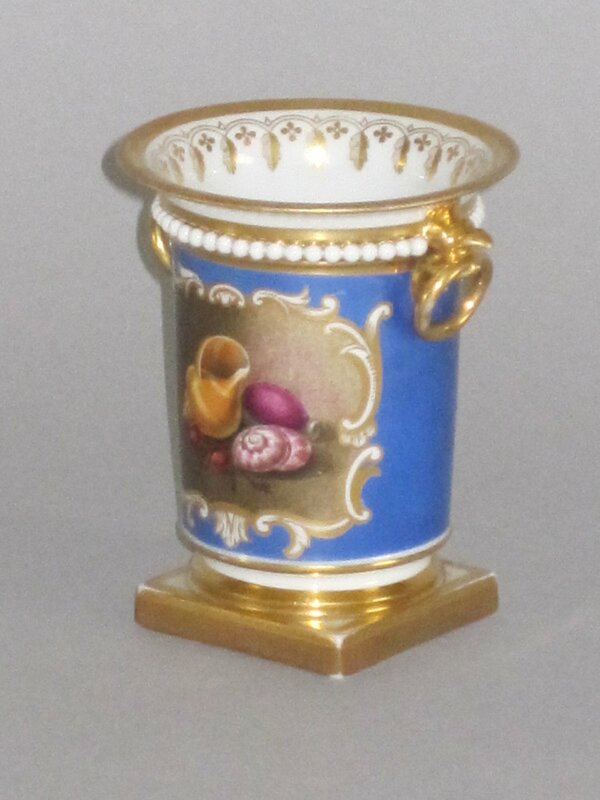 A FINE FLIGHT BARR & BARR WORCESTER PORCELAIN SPILL VASE, CIRCA 1813-20. The cylindrical body raised on a gilded square foot and having gilded griffin head and ring handles, a white beaded collar and with a finely painted cartouche with sea shells and seaweed reserved on a blue ground. Unmarked.